It wasn't unusual for a King record to be covered by it's artists for both the black and white markets. This time though, the white cover came from the Mercury label. Leave My Kitten ALone was written by the great Little Willie John, label mate Willie "Titus" Turner and James MacDougall. 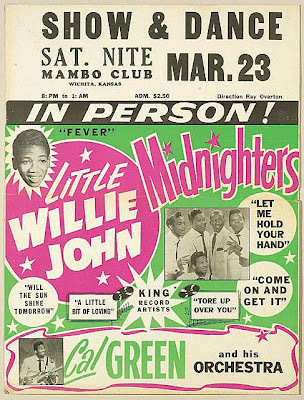 Willie recorded the song in New York on 3rd June 1959 with a crack backing band that included Ernie Hayes on piano, Pinky Williams on sax and the momumental Mickey Baker on guitar. The backing vocals and Willie's voice work in perfect harmony before Pinky takes an extended solo. The song hit the number 13 in the r&b charts and on reissue went to number 60 on the pop charts. It makes you wonder what the top 59 was like! 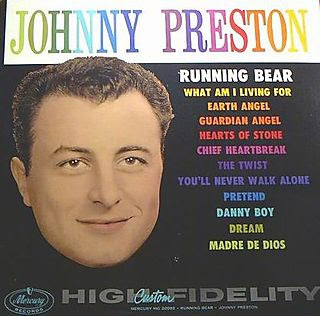 Johnny Preston's version deviates little from the original, with the backing vocals threatening, but thankfully failing, to take the song over. Cut at the Bradley Studios in Nashville in late 1960, the country backers nail the song, giving it the big rock 'n' roll beat along the lines of Elvis Is Back. Once it had regained it's breath after the initial onslaught of rock 'n' roll, Music City had become one of the big beat's finest exponents, a perfect rockin' beat eminating from virtually every studio in town. Preston's vocals are engaging and the public respoonded by sending the record to number 73 in the charts. The Beatles also covered it and gave it their typical 60s beat which lacks the drive of the two versions above. John Lennon sounds as good as ever, adn George Harrison takes a pretty neat solo but without the backing vocals, the songs falls short to my ears. The winner in my eyes has to be Little Willie John. As good as Preston's is, the soulful voice of LWJ is just sooooo cool. What a talent. Beatles (youTube - you don't think I'd buy their albums do you).